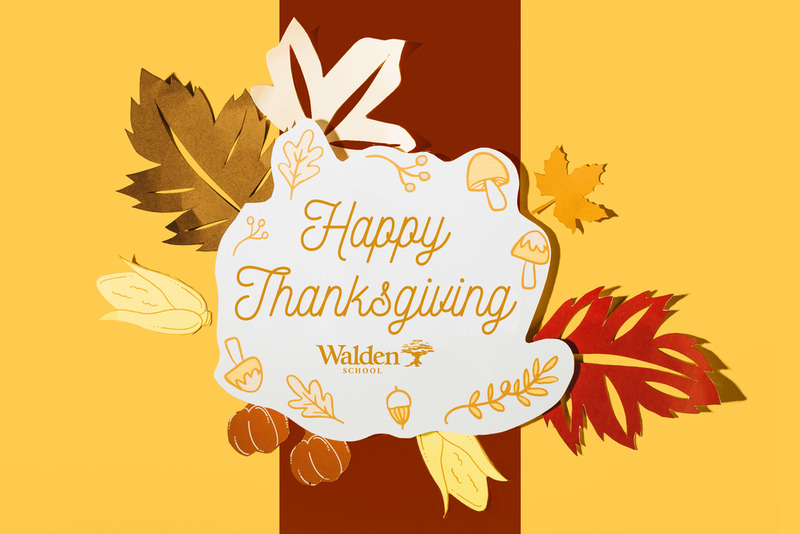 Walden faculty, staff and students will gather in TAH for a memorable meal; our own Thanksgiving, celebrating a time of reflective gratitude and appreciation. Students are advised to dress appropriately for this special event and will be dismissed from school at 1:00pm (Lower School will be dismissed at 12:45pm). NOTE: In order to make up the academic time lost due to Thanksgiving week festivities and breaks, Walden will hold a regular Monday schedule on Friday, November 16th. Classes will run according to the times on a Monday; High School students will not be dismissed until 3:15pm. Lower School students will be dismissed at 2:45pm.